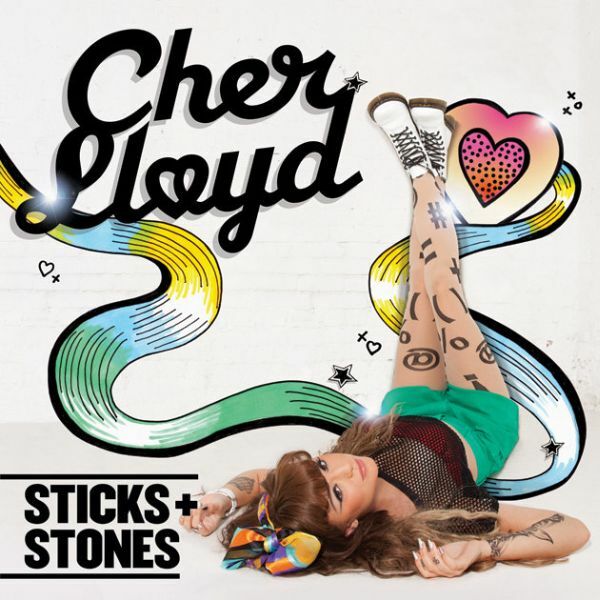 Sticks and Stones is the debut album by English recording artist Cher Lloyd, released in Novembler 2011 via Syco Records. The album title features a heavy sans serif, which is probably Knockout No. 70 WElterweight. For the singer name in script lettering, it is probably set in Radio designed by Magnus Rakeng.